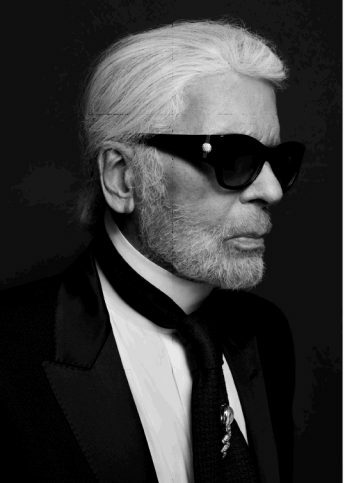 Karl Lagerfeld’s tribute to literary Paris. Paris is always a good idea. And no one champions this sentiment more than Karl Lagerfeld, who transformed the majestic Grand Palais into the charming stretch along the Seine for the Chanel Haute Couture show. Quaint book stalls selling Coco Chanel gear, padlocks on a Pont des Arts bridge and even a miniature replica of the domed Académie Française. No detail was spared. And of course, the garments followed suit. Colour palette was key for this tribute to literary Paris, with rooftop slate-greys, heavier textured tweeds resembling rambling cobblestones, and even flecks of pink bringing to mind that heartbreaking Parisian sunrise. And for the evening, sequinned boleros mimicked the light glittering on the Seine, and swishy lengths of chiffon appeared convincingly promenade-like. With nods to Coco Chanel, the modern woman came head-to-head with the brand’s more traditional sensibilities. The result? Classic tailored suits with thigh-baring zip detailing, floor-sweeping dresses with chain-mail bodices, and puffed eighties shoulders teamed with tongue-in-cheek rockabilly quiffs.